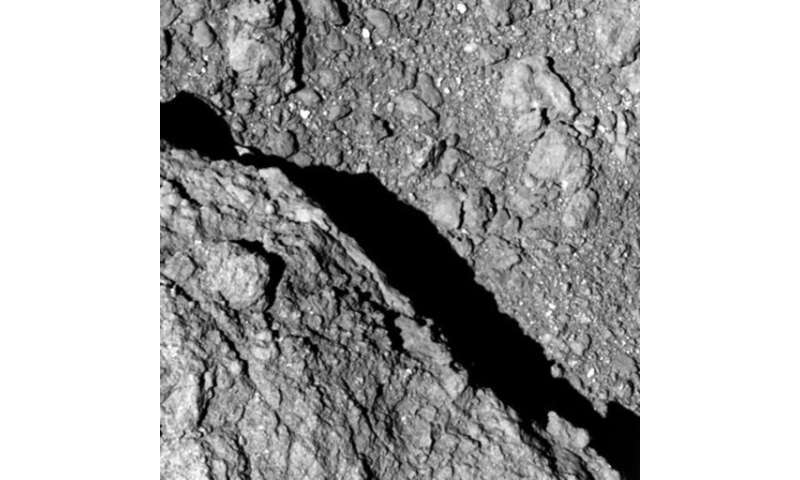 New photos taken on the surface of an asteroid show that it is (drumroll, please) ... rocky. I believe the trick is that all surfaces becomes sticky near absolute zero, and that both hardening ices and organics contribute to glue together once smashed up and gravity reassembled "rubble piles" like Ryugo has - unless I am mistaken - been classified as. When the rubble is drifting in close course with matching velocity? The micro-gravity of the bits & pieces coalesce into a body. As it builds, the strength of it's combined gravity can attract from farther distances. Don't forget the Inverse Square Rule! Mayhap another rock on a collision course will hit with enough energy to knock off some of the loose rubble. Or, a direct hit by a solid body could shatter it entirely! The remains flying about in different directions. Randomly reform in the future as chance brings them close enough to other pieces. Which makes me wonder. Over billions of years? That sort of event must be a regular occurrence. Meaning, some of the rubble piles we prospect must have formed, deformed. Been smacked about a multitude of times. From a multitude of different asteroids. As random as a seashell being cast up onto a beach. Pulled back into ocean by the next wave. Rolled about the shore & shattered. The pieces eroded to sand. I am sure that ionization from sunlight and the natural magnetism inherent in metals such as iron and nickle that would help hold the pieces together after gravity has gotten the particles close to each other. Magnetism can overcome more of the rotational acceleration of the incoming particles that would often keep them on gravity's moving path than gravity alone can to help slow them down so that they could 'make contact and stick'. After that the ices, which would likely have melted slightly due to the energy of the impact of particles and stick better, which effect would get larger as the particles did. Chemistry, magnetism and light all happen due to charge disparities which are nearly always present due to the fact that space, matter, energy and things like charge differences in the solar wind are anisotropic at nearly all scales, and since there are differences, there will be flows, or, in the case of chemistry, new connections made. Well Sw, since you are sure. 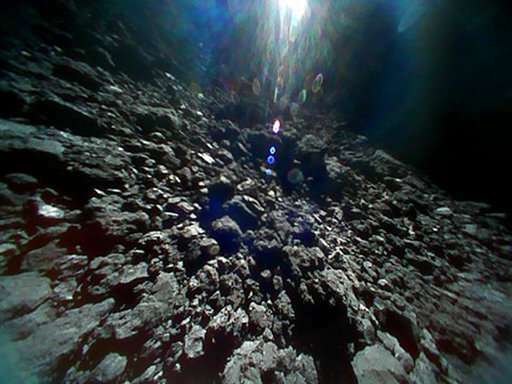 Without any proof to date that is what actually occurs on rubble asteroids with conductive material content. The simplest and soonest way to test ? Would be to locate a NEO with a remote-detectable iron-nickle corpus and go check it out. The robot-prospector should get a pretty measurable shock as it approaches. Find out if there was any cost-cutting in the protective shell for the on-board electronics! Now don't get discouraged if there is no spark. Perhaps recently the IN rock bled off it's charge bumping into another IN rock? Just gotta keep trying. As a safety precaution. Though I do not agree that EM activity is common or necessary for IN rocks. But the random cussedness of reality is? Finding an outlier will always occur at the worst timing too occur the most expensive damage! By the way Sw. As an idle perusal? How would your EM hypothesis explain asteroids that consist of non-conductive materials? Charge is going to continually try to equalize, this is a normal condition. Most likely no spark due to already being in proximity to the asteroid therefore in the same plasma field, thus excess charge would tend to equalize. Very basic. Your premise of huge spark is unlikely, there would probably be a milder current working to balance the objects as they come close in the slow manner which they did. And so far, all asteroid materials have been a mix of materials, none of them completely without iron. Some have a high amount of carbon, but there is still other metals along with. Asteroids are like any mix of materials with a broad range of charge. Heck, even molecular water exhibits charge, and aligns into crystals that display formation along field lines. You know they have to ground ALL aircraft before debarking, or passengers/pilot can get one HECK of a shock stepping to ground, enough to kill. Go ahead and look it up. Explain to me why. Then apply it to this situation. One of the measurements scheduled to be made at comet 67P, was to measure its intrinsic magnetism. A number of models of the early solar system required EM effects to play a part in the assembly of planetary materials. To the disappointment of many, it was found that the comet was 'remarkably non-magnetic'. I believe this was also the case at an asteroid (Eros?) where it was also shown that the body was non-magnetised. The earth's atmosphere is never neutrally charged due to cosmic rays and natural radioactivity. Once a non-neutral charge is present, charges continue to separate (like charges attract) and the differential between charge carriers increases. Airplanes take on the charge of the atmosphere at high altitudes where the charge gradient with respect to earth is high. Due to rubber wheels acting as insulators, the plane can retain a significant electrostatic charge. This sort of charge separation requires an atmosphere. https://en.wikipe...ctricity (with 16 citations). No. Like charges repel. Your post therefore makes no sense. Electrostatic accumulation would be required, but even then the processes fall short. What the takeaway is, the nebular accretion guess doesn't work on any level, even the combination of the various processes doesn't work. Basically a whole new paradigm needs to be considered, and to be sure electromagnetic processes are the primary driver. No new paradigm needed. 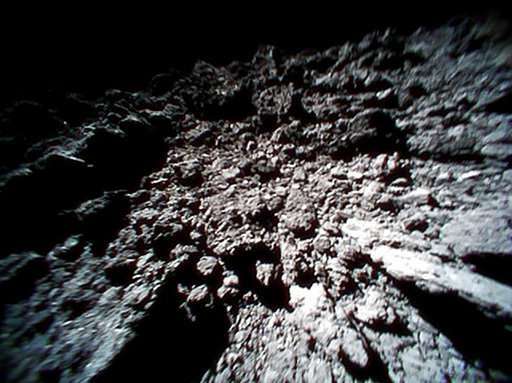 Observations such as those at Rosetta, and asteroids, will help to constrain existing models. Nobody, to my knowledge is suggesting a whole new approach. Nobody, to my knowledge is suggesting a whole new approach. Of course there aren't, at least not coming from academia. The 300+ year old nebular accretion guesses are sacrosanct, a religiously held ideology protected in the halls of academia from heresy. If an individual would suggest otherwise they would be cast aside like so many (Hal Arp for one) who question the closely held beliefs of the plasma ignoramuses. Nevermind the fact the guesses fail at every turn, starting from the first. Oh dear! More EU dogma straight from the mouth of the idiot Thornhill! Please tell us who these geniuses are that are suggesting an alternative, and where can I read about it? Otherwise, you are making.......etc, you know the drill.